Mitchell’s interest in maps is inextricably bound to his belief that the land, its rivers and geological formations shape not only human behaviour, but also human psychology and society. In calling the Forks of the Thames a “heartland” in this 1978 painting, he urges viewers to consider the profound importance of the Thames to London’s history and people: London’s civic birth and its near-designation as the provincial capital; the river’s role as a giver of life and an essential source of transportation to generations of Aboriginal peoples; and the river’s ability to drive industrial growth in the area. Perhaps inevitably, Mitchell’s title also brings to mind the way the London arts scene has been defined by its sense of place, a phenomenon that the seminal 1968 exhibition The Heart of London2 aimed to showcase. During his varied career, Mitchell has continued to move between two and three dimensions, creating drawings and paintings as well as full-scale sculptures (such as Sky Observation Platform, commissioned by the McIntosh Gallery in 2000). In 2008, Mitchell revisited his passion for map-making in the commemorative exhibition You Are Here, which brought together artists in all media to mark London’s 150th anniversary. 2. 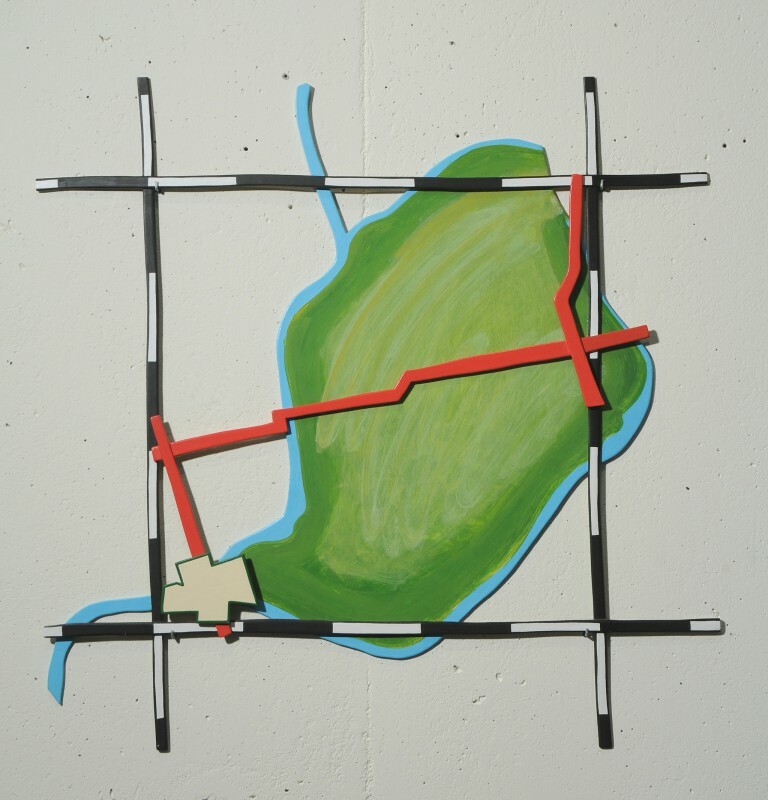 The Heart of London was organized by the National Gallery of Canada in 1968 to showcase the work of eleven young London artists, including Jack Chambers and Greg Curnoe. It made a national tour, beginning in London, Ontario and ending at the ConfederationCentreArtGallery and Museum, PEI, in 1969.